Modern historians, though, are asking how many of these dire reports are actually true, and how much was exaggerated or even invented by writers who were hostile to Tiberius or his family. That’s another story, and not for today. Because I’ve come across at least one good thing that Tiberius is credited with. His gardeners invented the greenhouse. 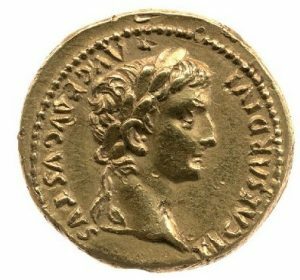 The Romans were enthusiastic gardeners, and grew a wide range of plants, especially vegetables, that we still cultivate today. Tiberius, it seems, was very partial to cucumbers, and insisted on having fresh ones for his table all year round. Even in a Mediterranean climate this posed a challenge to his gardeners in winter-time, and with the added problem of working for a master who had a short temper and powers of life and death…not surprisingly, they found a way to deliver what he wanted. They used to grow their cucumbers in large carts that could be wheeled outdoors in sunny weather and brought inside again at night or when it was cold. Not a complete answer, because long cold spells might mean the plants were kept indoors for days on end and would fail from lack of light. So the gardeners covered the carts with translucent panes that let in light but kept out the worst of the chills, and the plants could be outdoors even in cold weather. The covers were made of selenite, a form of gypsum which was soft enough to be easily cut into very thin sheets, yet hard enough to serve as quite large panes. Why not use glass? They didn’t have the technology to make large clear panes of glass; they did manage small opaque glass windows for richer folks’ houses, but these were expensive and perhaps more fragile than the mineral sheets. Whatever the reason, the selenite covers proved a good practical solution. Never mind, the covered-cart idea was passed on by several ancient writers on gardening as a workable technique. I suppose the cucumber-houses were more cold frames than true greenhouses, but they were a start. So next time you tuck into a mixed salad or toy with a thin cucumber sandwich, spare a thought for Tiberius and his gardeners, laying the foundations for a new technique. …But never jam today. A good cynical comment on the promises made by the powers-that-be. Who first said it? I’d always assumed it originated in World War 1 with that prolific author, Anon, who was probably a soldier. Actually it dates back to 1871, when Lewis Carroll sent Alice venturing through the looking glass. There she met the White Queen, who propounded the rule about never having jam today. Alice, characteristically, objected: ‘It MUST come sometimes to “jam to-day.”‘ ‘No, it can’t,’ said the Queen. ‘It’s jam every OTHER day: to-day isn’t any OTHER day, you know.’ Weird logic, but the message got through! 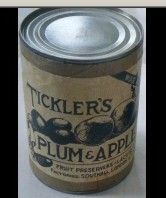 I associated “jam tomorrow” with World War 1 because my father, who wasn’t even a teenager by 1918, remembered a comic music-hall song about plum and apple jam. This confection was shipped out to the troops in industrial quantities, literally, by businessmen like Thomas Tickler from Grimsby. He had a Government contract to supply tins of it, or do I mean tons of it, to the front line. It made him a million pounds. I promised in my last post to find out when jam originated. Answer: surprisingly early. The story begins in the era of the Crusades. No, I don’t mean we should picture Richard the Lion Heart sitting down to jam sandwiches with Saladin! But this was when sugar started to become available, if not exactly cheap, in western Europe. The Arabs had grown sugar cane for centuries in their Middle Eastern homelands, and brought the plants with them as they expanded into North Africa and Spain. When the crusaders conquered the Eastern Mediterranean lands we now call Jordan, Syria and Israel, they learnt that sugar was not only a delicious sweetener but also a lucrative export. Using it to preserve fruit and make jam was the next step. Soon jam was valued as a delicacy in its own right, but a luxury one. Joan of Arc is said to have eaten quince jam before every battle, to give her courage. Catherine de Medici took it with her when she married Henry II of France….along with forks, also ice cream. Mary Queen of Scots, her daughter-in-law, introduced marmalade into Scotland. Other jam-lovers have included Nostradamus, who wrote a treatise on it, Voltaire, and Marie Curie. Then once the New World was opened up, sugar plantations multiplied, and jam spread (sorry!) to become something we can all enjoy. My favourite kind is home-made raspberry, from our own home-grown fruit. What’s yours? Did the Romans make Jam? A friend asked me this the other day, and I was delighted. I’ve been ambushed recently by that pesky nuisance, Real Life, which has kept me away from my blog and my books. Now at last, hooray, an excuse for some research. There are some excellent modern books on Roman cuisine, but the only surviving text from Ancient Roman times that deserves the name cookbook is On Cookery by Apicius. It’s fascinating, a mixed collection of recipes and notes. It’s meant rather as an aide-memoir for cooks than as a blow-by-blow “How to make…” instruction manual, because it lists ingredients and methods but very few quantities. Foods it covers range from familiar to exotic: from pork to parrot, from duck to dormouse. But there’s no jam. At least not jam as we know it. Of course they wanted to preserve all kinds of fruit, and Apicius lists various liquids for steeping or pickling them in. Wine, vinegar, honey, brine and even boiled rainwater are all there in his pages. But the aim was to keep the fruit fresh as fruit, so it could be enjoyed out of season. Jam-making started like that I suppose, but soon people valued the resulting sweet concoction as a delicacy in its own right. 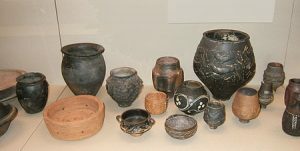 True, some of the Romans’ preserved fruits may well have turned out soft, sweet and squidgy, and could even have been used as spreads or decoration on puddings. That’s why some jam-makers claim the roots of their craft in Roman days. But they are pretty tenuous roots. Having delved this far, of course I want to know when real jam was first made, and where. That’s what I love about research – one interesting trail leads on to another. The answer here surprised me. It hinges on when sugar became widely available and not too expensive. But when that was…I’ll do some more delving and post what I find soon, always providing that pestilential Real Life doesn’t interfere again. Meanwhile back to the Romans. I can’t resist reflecting that everyone who’s ever endured Latin lessons probably remembers this famous – or infamous – piece of ? ?Latin verse on the theme of jam. And if you’ve managed to escape Latin lessons, don’t panic. Read it aloud to take in its full…er…well just read it aloud. I wonder if there are any more verses?